JEFFERSON, Ga. – Their patient – just off camera – had just suffered a stroke, but three employees of a Georgia assisted living facility made a video of themselves cussing and joking that she’s about to die. Now they’re facing possible prison time. Police say they ignored a critically ill stroke patient who was supposed to be under their care and allegedly took a Snapchat video of that patient, mocking her condition, titling it, "The End." Jefferson Police Detective Jay Parker said officers were summoned on June 14 by the executive director of the Bentley Assisted Living at Northminster in Jefferson, about 60 miles northeast of Atlanta. 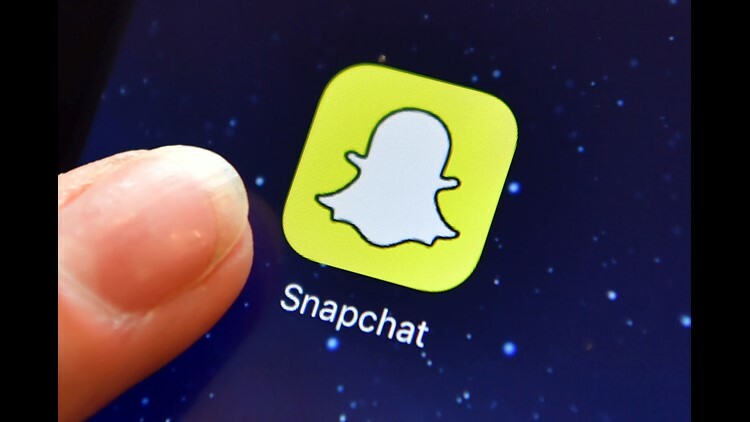 The director, Cynthia Archer, said that one of her employees had reported the Snapchat video to her and that it had apparently been recorded the night before. The manager said that when she watched the Snapchat video herself, she could identify the three suspects – Mya Moss, Jorden Bruce and Lizeth Ramirez – as they sat in the patient's room. At the time the Snapchat video was taking place, the victim had just had a stroke, according to police. The three employees had been instructed by supervisors to monitor her condition while awaiting a hospice nurse. On the Snapchat video, Ramirez and Bruce can be seen sitting in chairs laughing, screaming obscenities and using a vape cigarette while Moss was shooting the video. "They were obviously more interested in playing on the phone and making the video and cutting up and making a joke of the situation," Parker said. Instead of playing and making the video, Parker said, the workers should have been paying much closer attention to the patient. "They should have been watching her," he said. "It was my understanding she was having difficulty swallowing, also, with moving around. She could have choked, fallen off the bed – anything." Each of the workers has been charged with exploitation and intimidation of disabled adults, which is a felony under Georgia law that carries a maximum penalty of 20 years in prison and/or a fine of up to $50,000. Parker said Moss and Bruce were released on bond, however, U.S. Immigration and Customs Enforcement has asked that Ramirez not be released at this point. Parker said he doesn't know if the incident had anything to do with the patient's death. "Upon learning about this incident, we promptly contacted the Jefferson Police Department and an investigation was started. No resident's condition was compromised as a result of this unfortunate event,” the facility's executive director said in an emailed a statement. “It is our privilege to be entrusted with the care of the residents of this community and we will never tolerate from our staff anything less than the utmost respect and care for each of our residents."